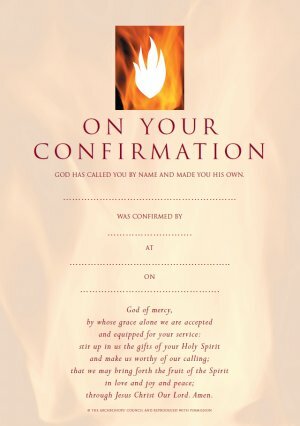 Attractive cards for confirmation featuring extracts from the Common Worship confirmation service and a flame motif. Suitable for framing, they include a space for recording the candidate's name, the date and place of confirmation and the presiding bishop. 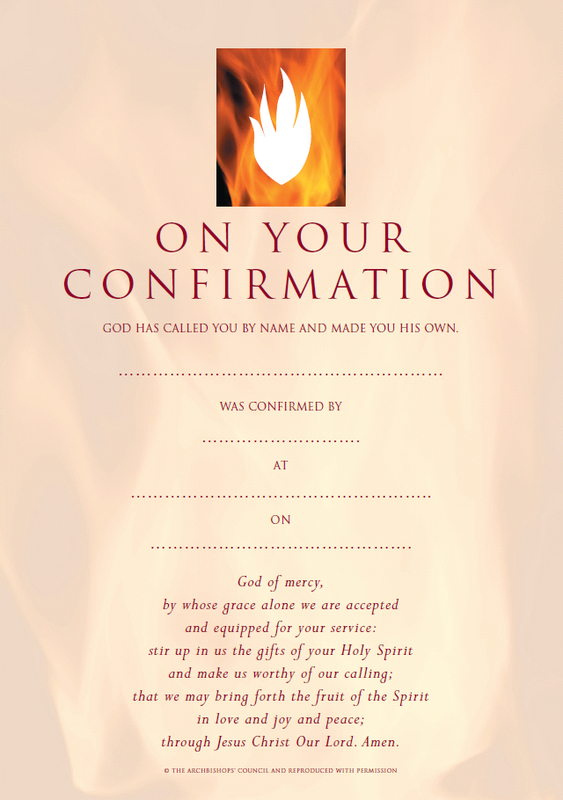 Confirmation Certificates - Pack of 10 was published by Canterbury Press in July 2001 and is our 7459th best seller. The ISBN for Confirmation Certificates - Pack of 10 is 9781853114298. Be the first to review Confirmation Certificates - Pack of 10! Got a question? No problem! Just click here to ask us about Confirmation Certificates - Pack of 10.